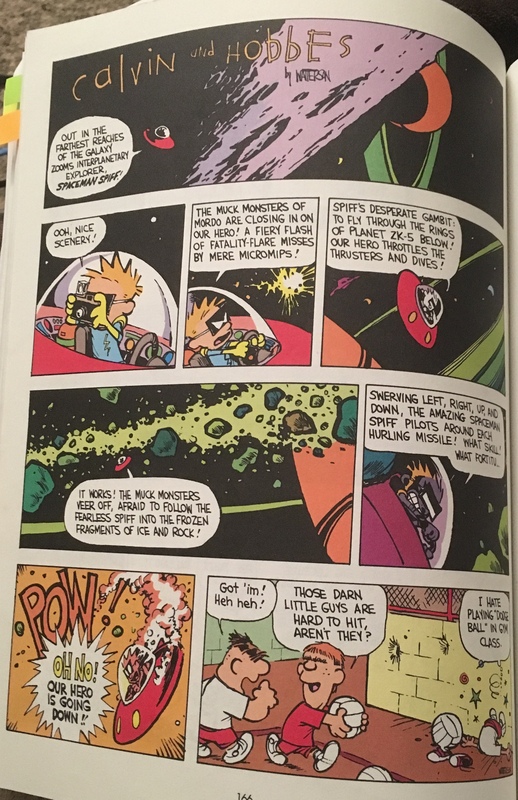 Like I’ve mentioned in previous posts, I absolutely love Calvin and Hobbes by Bill Watterson. I was raised on the comics, learned how to read with them, gained a broader imagination through them, and I still read them to this day. I want to use this post to explain just how much I love this strip and how it has impacted my life. However, I don’t know if the words I have are adequate or even enough to really show my apprieciation for Mr. Watterson. For quick reference, Calvin and Hobbes is a comic strip about a mischevious, intelligent 6 year old boy and his stuffed tiger. Written by Bill Watterson, the strip ran from 1985-1995 and ran in 2,400 newspapers worldwide. 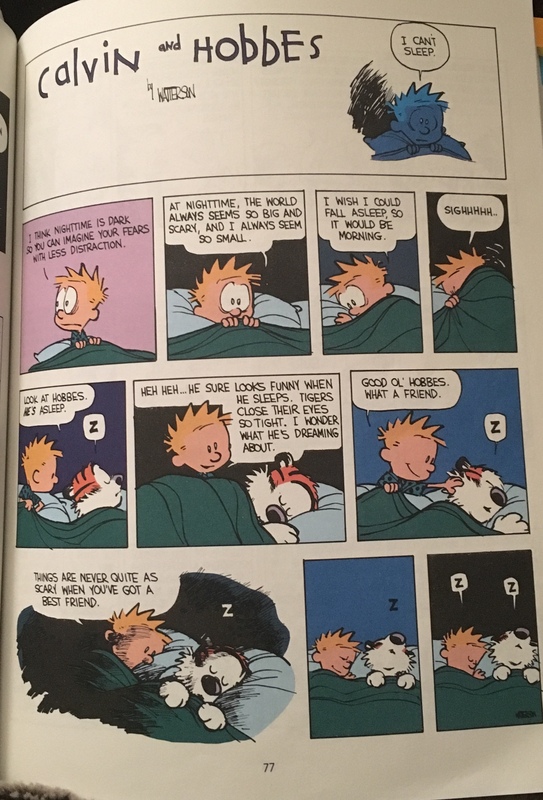 When I was little (probably about 5-7 years old), my dad would pull out a book of Calvin and Hobbes and read me to sleep. Dad’s only mistake was thinking that it would put me to sleep. Calvin’s adventures and vast imagination filled my head with stories and my own possible adventures that kept me awake. 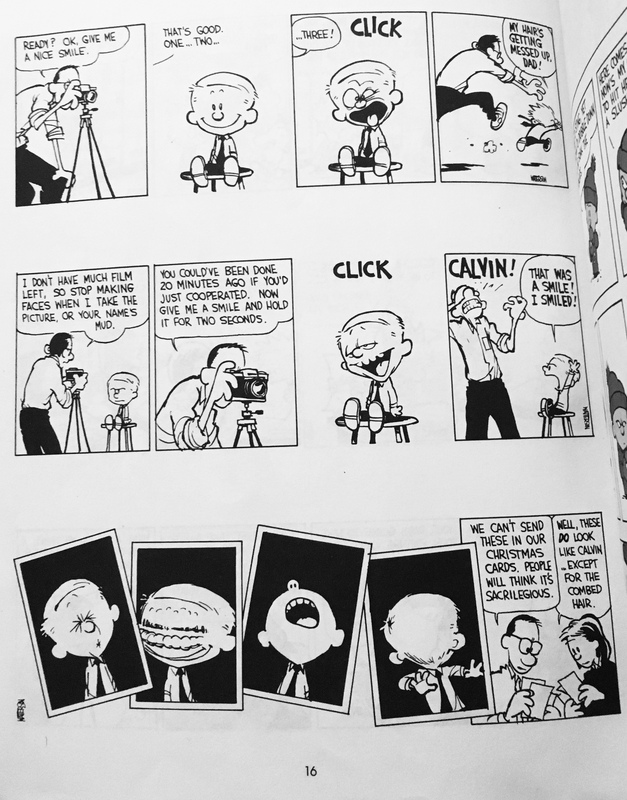 Now, about 17 years later, I’ve begun making my own comic strips and incorporating many things I’ve learned from Mr. Watterson and Calvin. From his comics, I’m learning how to organize my comics in an asthetically pleasing, yet readable way, how to write the dialogue of comics, and how to turn everyday experiences into fantastical adventures. 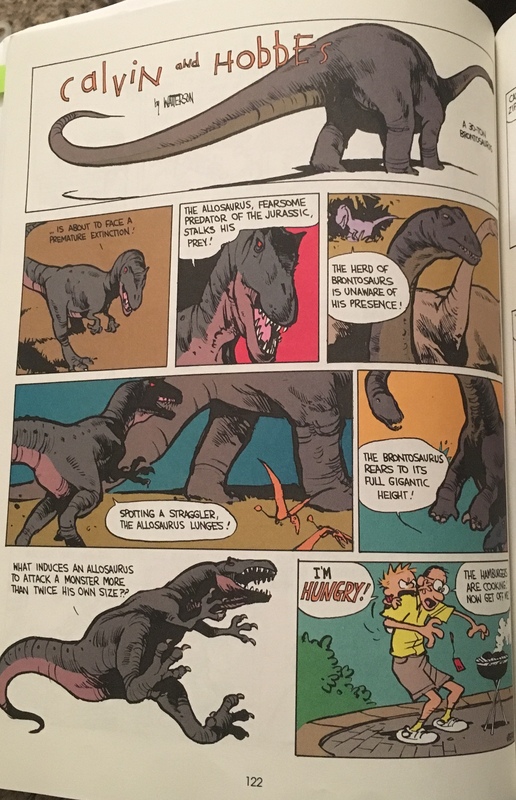 I could say here how clever, creative, enduring, intelligent, thoughtful, thought-provoking, and hilarious Calvin and Hobbes is, but anyone who’s read the comics already understands. And if you haven’t read them, stop what you are doing and go read them. I suppose I don’t have much more to say, other than Thank You, Mr. Watterson.